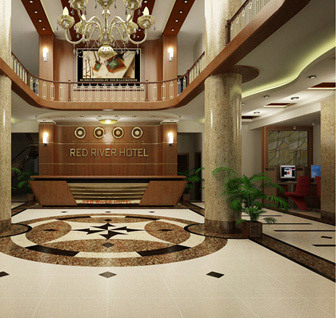 River Prince, a four star hotel located in the city of Da Lat and takes only 7 minutes walk from the central market area, with 104 luxurious rooms, fully equipped and modern equipment for luxury hotels level. Besides the shopping malls, supermarkets to help customers choose the convenience of shopping and giving gifts to relatives during away. The rooms are equipped with LCD TVs, appliances modern bathrooms, cable television with news channels suitable for each customer, the international telephone system, Mini Bar, wireless high-speed, safe safe storage private page, the camera system at key points to keep safe for you, but not disturbing the privacy of customers. System restaurants, conference rooms, gym sports, steam room, massage services in the home and other local staff are always enthusiastic, professional and close as the place they were born . Da Lat a harmony between nature and man that will give you a comfortable stay and relax.